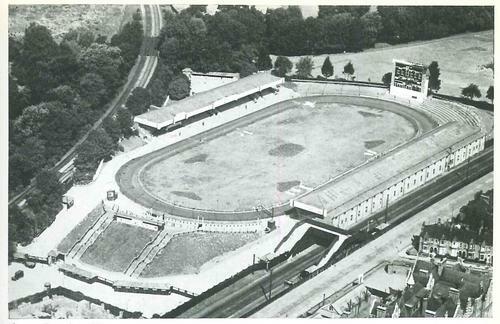 In 1948 Lewisham boasted a variety of sports grounds and clubs. 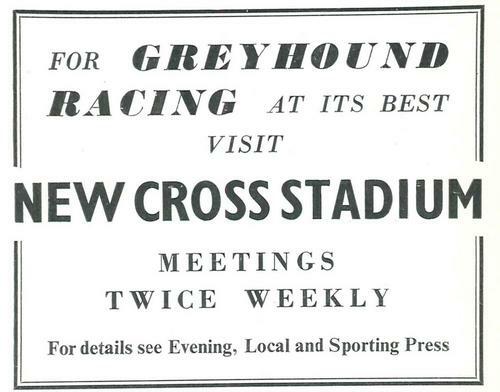 There were two greyhound stadiums, at Catford and New Cross with twice weekly meetings, 5 public swimming baths - both outdoor and indoor, and several lawn tennis and cricket clubs. Ladywell Baths comprised first and second class swimming baths. During the winter the first-class bath was boarded over and became a large hall which could be hired for concerts. First class swimming cost 6d (2.5 'new' pence) for an adult, 4d for children under 16. 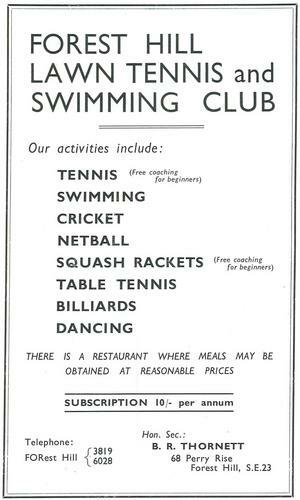 Second class swimming cost 2d. A private bath cost 6d, a towel 1d with a returnable deposit of 2/- (10 'new' pence) and soap 2d. 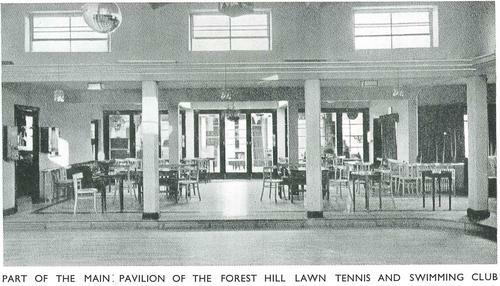 There was also an open air swimming bath in Bellingham and two other baths at Downham and Forest Hill. Bell Green Bath House in Sydenham provided slipper baths - 11 for ladies and 14 for gentlemen. 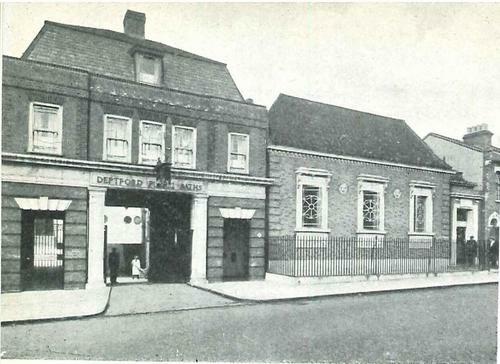 Deptford's main public baths were in Laurie Grove. They provided 3 swimming pools, hot baths and an efficient, modern wash-house service. The Evelyn Baths at Clyde Street also provided a 'foam bath' and a 'Russian Vapour' bath.